The victim in a 2011 case against the alleged gunman in Thursday's shooting at the Capital Gazette felt an immediate sense of panic after hearing about the killings, believing the shooter may be the same man who'd terrorized her for years, she told NBC News. Authorities say the suspect, Jarrod Ramos, had a long-held grudge against the newspaper, dating back to a story the paper published about Ramos' criminal harassment of the woman, known as Lori. 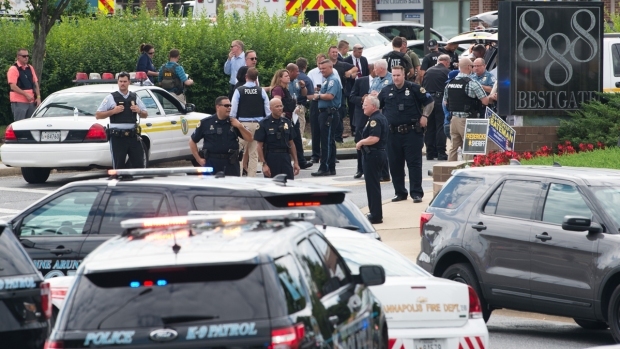 On Thursday, he opened fire at the paper in Annapolis, Maryland, police say, killing five employees. Lori, speaking exclusively to NBC News in an interview that aired Monday morning on "Today," said Ramos had terrorized her for years and forced her to move out of the state for her own safety. "I would be afraid that he could show up anywhere, at any time, and kill me," Lori said. Capital Gazette staff spoke with police in 2013 about threats they received on social media from the shooting suspect. Police said at the time that they did not believe Ramos was a threat. According to police, the staff chose not to pursue charges because they did not want to be "putting a stick in a beehive." News4's Jodie Fleischer has the story. Still living in fear of the man she says cyber-stalked her for years, she asked NBC to withhold her full name and location and to mask her identity. Seen only in shadow during the interview, she told NBC, "I have been tormented and traumatized and terrorized for so long that it has, I think, changed the fiber of my being." Ramos is being held without bond, charged with five counts of first-degree murder in the deadly rampage at the Capital Gazette. A suspected motive for the crime was an ongoing grudge Ramos held against the paper for coverage of his criminal harassment conviction in 2011. Lori, the victim in that case, recalled their interactions started out as friendly. "He reached out to me via email to ask if I remembered him from high school," she said. "I replied to him nicely that I did not." Months later, after several exchanges, things changed dramatically. Lori said that when she didn't respond to emails quickly enough, his messages turned threatening. "He said, 'F you, go kill yourself,'" Lori told NBC. "'You're gonna need a protective order.'" Lori got police involved but said Ramos still wouldn't stop. "He is very cold; he is very calcuated; he is very intelligent," she said. Ramos pleaded guilty to criminally harassing Lori in July 2011. The Capital wrote an article about the case. 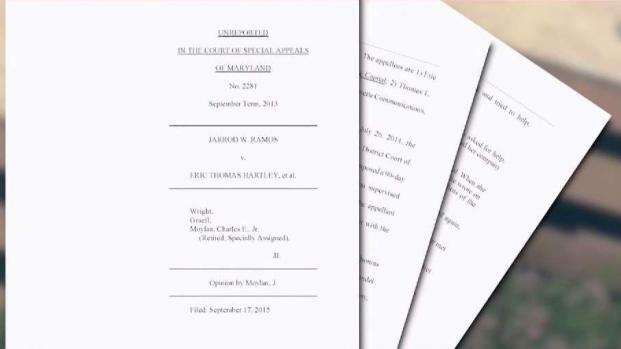 Afterward, Ramos sued the paper for defamation. His lawsuit was dismissed in 2015, but Ramos continued to write threatening messages about the paper and its employees on social media. Lori said she's speaking up because she wants to empower other stalking victims. "One thing that I do feel now is that he can no longer silence me," she said. Capital Gazette intern Anthony Messenger spoke with the "Today" show just a day after five people were killed in the newspaper's newsroom in a "targeted" shooting spree. In 2013, the newspaper alerted police about Ramos' online threats, but police said the staff chose not to pursue charges for fear they would provoke him. NBC News has reached out to the attorney now representing Ramos but has not heard back. CORRECTION (July 2, 2018, 11:51 a.m.): An earlier version of this article included an incorrect spelling of the victim's name. It is Lori.